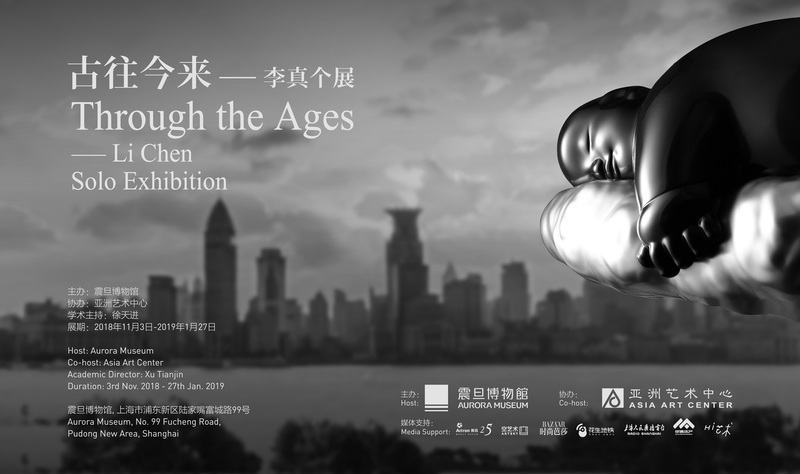 In collaboration with Asia Art Center, Aurora Museum is honored to present Through the Ages – Li Chen Solo Exhibition, which would be Li Chen’s first solo exhibition in Shanghai and also his first attempt to build a dialogue with ancient Buddhist statues. Traditional Buddhist statues of his earlier works and his latest sculptural works would be on display at the same time, showing a timeline of development and changes in Li Chen’s practice, leading viewers to experience the beauty beyond time and space. The Buddhist Statues were introduced into China from ancient India along with Buddhism. At first they were dominated by the influence of Gandhara and the Western Regions; and gradually they began to be integrated with Chinese tradition, which gave rise to Buddhist statues featuring both regional style and the profundity of Chinese culture and art. From this point on, the making of Buddhist statues became an important signature of Chinese Buddhist art. 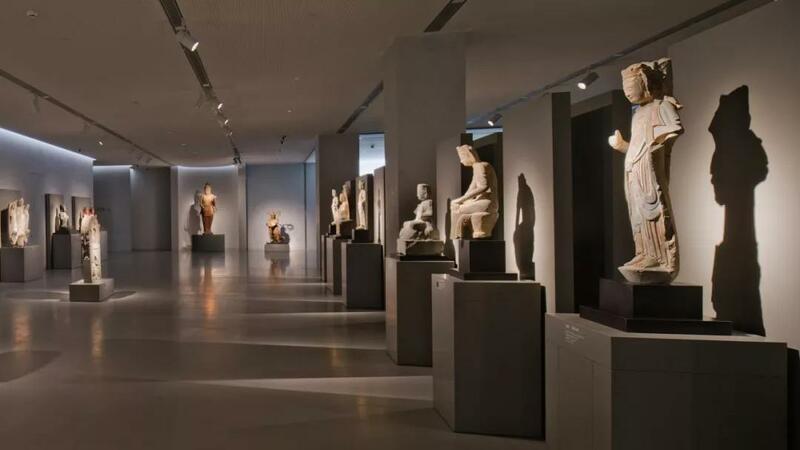 The collection of Buddhist statues at Aurora Museum features both Gandhara-style statues and statues with local cultural characteristics made during Northern Wei, Sui and Tang dynasties. A timeline demonstrating the different styles and aesthetics visions during the development of Buddhist statues making in China could be clearly perceived. 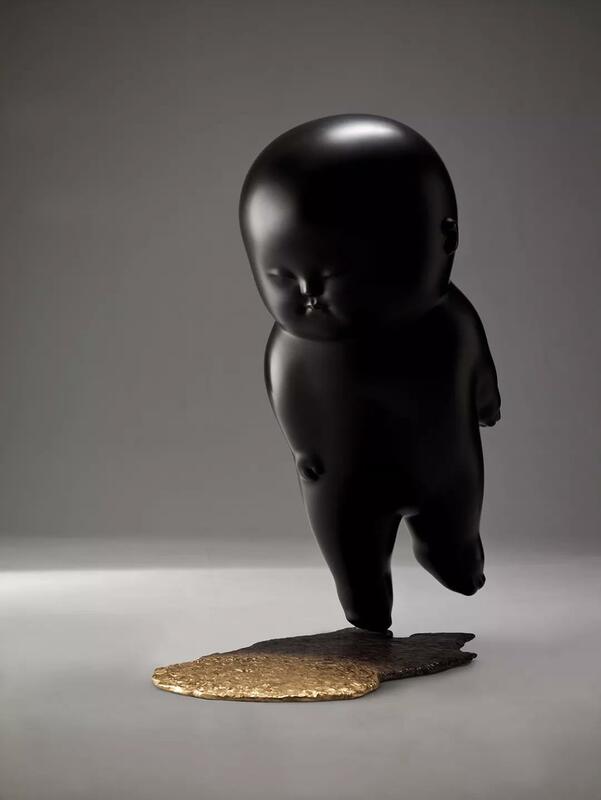 Born in 1963, Li Chen’s artistic practice started from making traditional Buddhist statue. During the process, on the one hand he keeps studying classics of Confucianism, Taoism and Buddhism; and on the other hand, he manages to imbue contemporary perception into his practice, leading to a signature style that incorporates both eastern charisma and western sculptural language. Heavy and yet subtle, his work demonstrates the artist’s concern of the current social situation and his reflection upon humanity. The Beauty of Emptiness and Energy of Emptiness, two of his earlier series, Spiritual Journey through the Great Ether, one of his most signature series, and Forsaken Relic (from the Ethereal Cloud series), one of his latest works, are all put on show at the exhibition. From Water-Moon Avalokitesvara (1992) to Forsaken Relic (2018), a metamorphosis in Li’s journey in the art world from traditional statue-making to contemporary sculptural practice could be perceived. 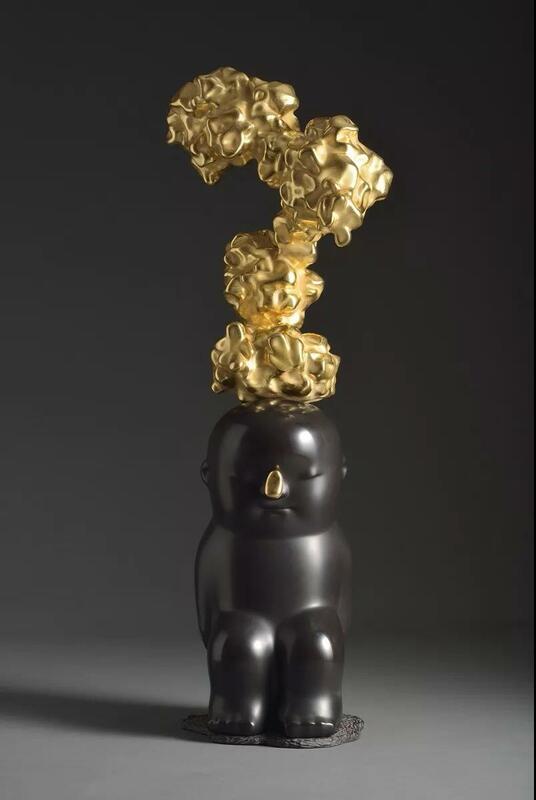 Aurora’s collection of Buddhist statues offer reference to interpret Li Chen’s work. Collectively, they form a field of dialogue, giving out a sense of “symbiosis”. Such “symbiosis” can be seen in two aspects: inheritance and innovation. 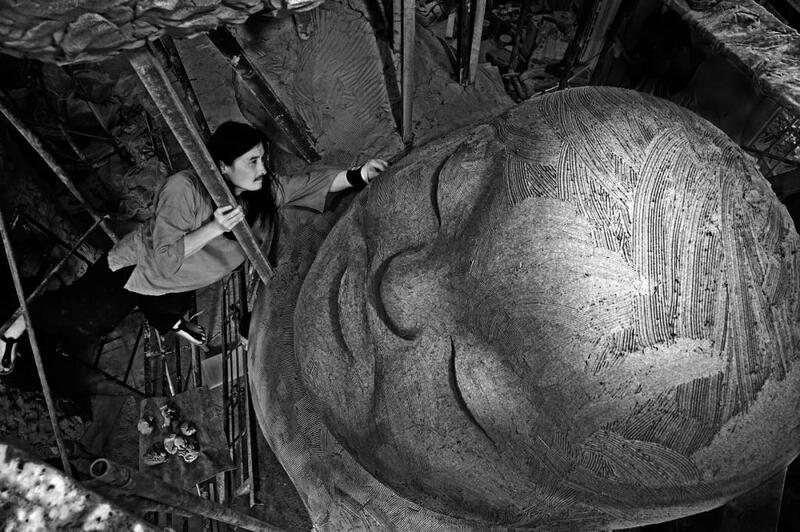 The making of Buddhist statue opened up Li Chen’s journey in the world of art. The mastery of traditional skills and patters pushed him to ponder further upon the possibilities of statue making. 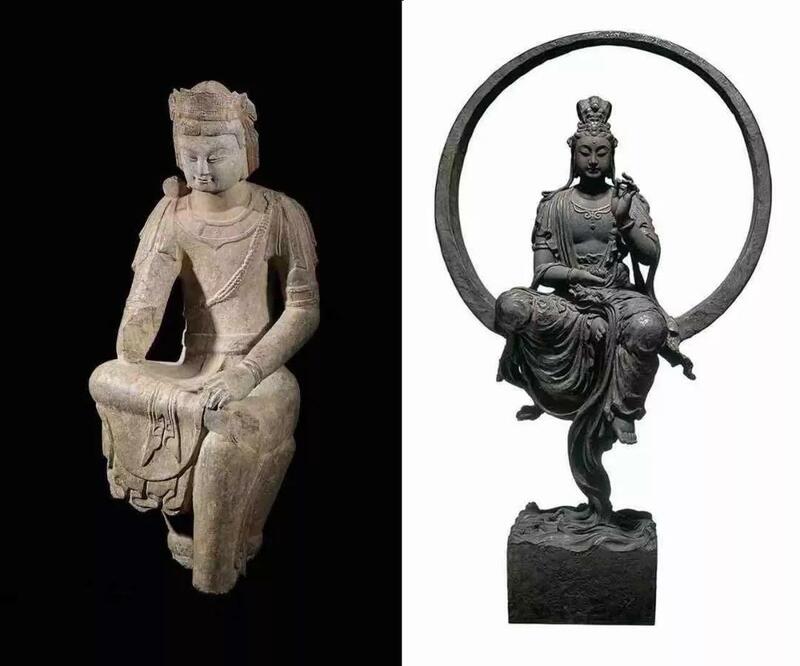 If we make a comparison between Li Chen’s work and those in Aurora’s collection, we’d see that Li Chen has simplified the image of Buddhist statues. And in the meantime, he has also imbued the emotions of the mundane life into them. As a result, the statues he presents radiate classic charisma as well as a sense of contemporaneity. From Water-Moon Avalokitesvara, which gives outs a sense of elegance that reminds viewers of the style of Song Dynasty, to Nirvana and Amitayus, which feature plumpness, a signature of Tang Dynasty, and then to Maitreya and Amitābha, which highlights the unadorned style of the Six Dynasties, we’d see Li Chen’s efforts to integrate traditional imagery with contemporary visual language. In nature, it shares something in similar with the research methodology Aurora Museum has consistently advocated and that places an emphasis on “material, technique, form and pattern”. Spiritual Journey through the Great Ether, one of Li Chen’s signature works, is the first thing viewers would see when they step into the museum. And before they enter the museum, they’d already be intrigued by the smiling charm of Golden Rain, a large installation on view at the corridor connecting to the museum. Viewers seeing the exhibition of pottery figurines on the second floor, to their surprise, would encounter the brilliance radiated from Ephemeral Beauty at the end of the gallery. Following the instruction of Floating Heavenly Palace, on the third floor, in the gallery of jade ware, viewers would find some of Li Chen’s latest works. And on the fourth and fifth floors, viewers would find Soothing Breezes Floating Clouds, Float to Sukhavati and Flickering Moonlight respectively. 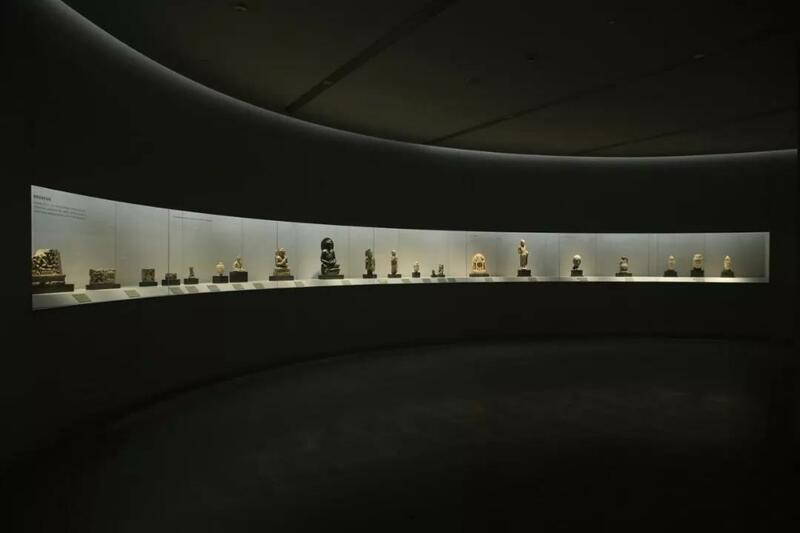 Last but not least, in the Buddhist statue gallery on the sixth floor, the ancient statutes form an ingenious backdrop to perceive the inheritance and metamorphosis of Li Chen’s practice. While the timeline of the exhibition is curated in a somewhat reverse manner, Spiritual Journey through the Great Ether play the role as a hub. Spiritual Journey through the Great Ether is an ongoing series that Li Chen started to work on in 2001. 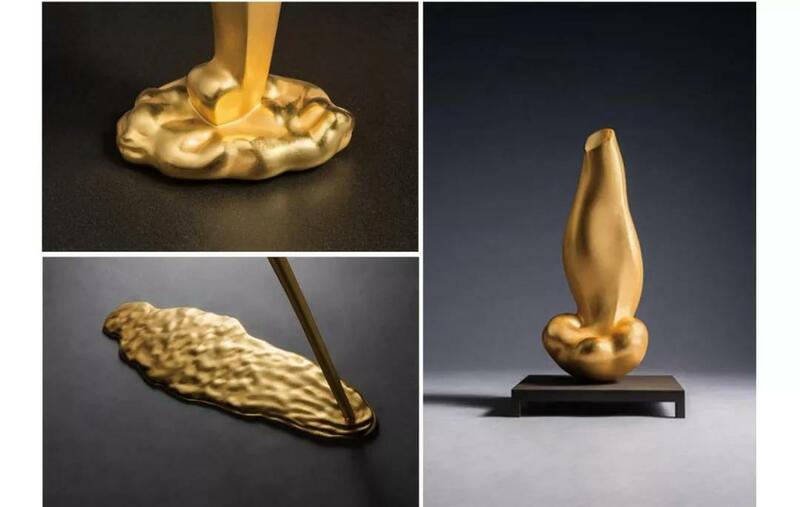 It demonstrates Li’s efforts to draw inspiration from Confucianism, Taoism, Buddhism and classic poems and his vision and bravery to breakthrough the confines of traditional statue making. Placed at the second to the sixth floors, Spiritual Journey through the Great Ether connects Li’s latest work Ethereal Cloud and his earlier works The Beauty of Emptiness and Energy of Emptiness. With a somewhat stretched and elongated timeline, the evolution of Li’s artistic style, life experience and vision could be seen more clearly. Li Chen was born in 1963, and currently works in Taichung and Shanghai. Li Chen accomplished a style which has fully liberated itself from the confines of tradition by incorporating feelings of self-mindfulness and interpretations of Chinese classics from the Buddhist and Taoist traditions, blended with contemporary thought, evincing a remarkably refreshing and natural effect of appearing both heavy and light. The underlying aesthetic principles in Li’s sculpture are based not only on a “dual composition” of Eastern traditions and Western sculptural language but also on an ongoing dialogue with the spiritual and material cultures of Africa and Oceania. Furthermore, Li Chen’s art work aspires to a spiritual arts therapy, uncovering a wealth of joy amidst the simple life’s pleasures, innovating a spiritual space through the pieces, as humor embellishes a metaphorical engagement with the world. Since his public debut in 1999 at Taipei, Li has been an active figure both domestic and abroad. Li participated in the 52nd Venice Biennale, the first artist of Chinese descent to be invited as an individual to arrange a solo exhibition in the event. Li Chen has presented solo exhibitions at National Art Museum of China (Beijing), Singapore Art Museum (Singapore), National Chiang Kai-shek Memorial Hall (Taipei), Frye Art Museum (Seattle), Place Vendôme (Paris), Taipei MoCA (Taipei); and his works have been widely exhibited all around the world including New York, Chicago, Jerusalem, Copenhagen, Miami, Paris, London, Beijing, Shanghai, Geneva, Singapore and Seoul. Xu Tianjin was born in 1958. 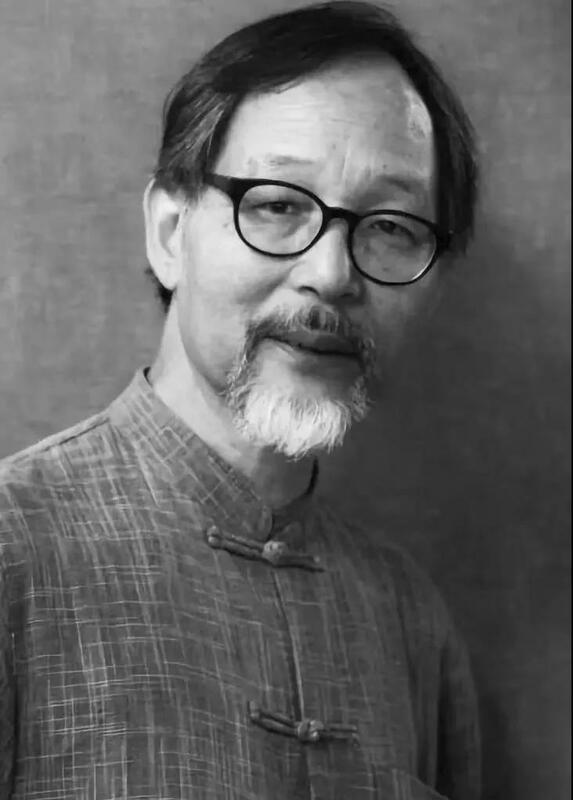 He graduated from Archaeology, History Department in Northwest University in 1982 and got his master degree from the Department of Archaeology, Peking University in 1985. 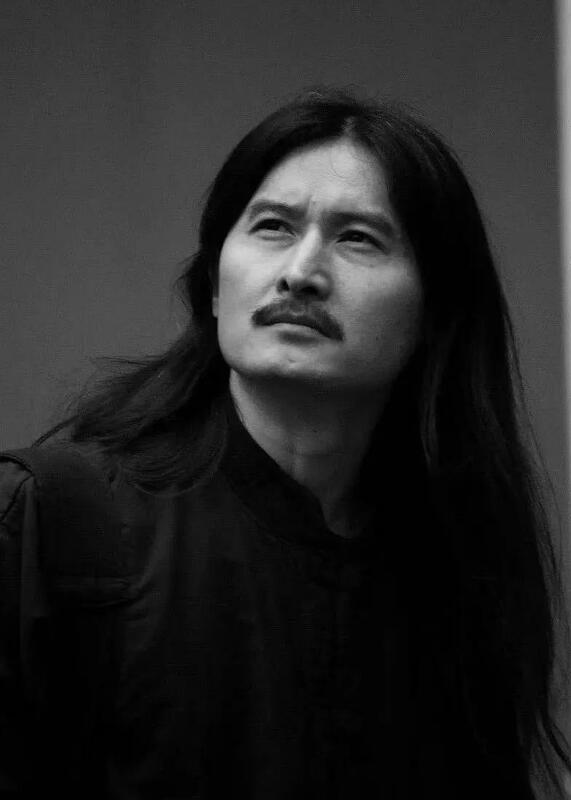 He has served as a teaching assistant and lecturer of Department of Archaeology, Peking University, and professor (PhD tutor) of Peking University Archaeology and Museology College. He is currently working as the director of the China Archaeological Research Center of Peking University, which is the core research base of the humanities and social sciences of the Ministry of Education. He is also the vice chairman of the Shanxi Museum Council. He mainly engages in research and educational work about archaeology includeing field of investigation as well as history in Shang and Zhou Dynasties. He has participated in and presided over the archaeological excavation and research work of important sites such as Tianma-Qu village of Shanxi province; Jin Marquis’ Cemetery; Beijing Fangshan Liuli River; Zhouyuan and Zhougong Temple of Shaanxi and so on. He also participates in and in charge of major research projects of the Ministry of Science and Technology, such as: “Xia Shang Zhou Chronology Project “, “Chinese Civilization Exploration Project” and the core research project of Humanities and Social Sciences for Ministry of Education. The collection of Aurora Museum can be divided into Buddhist Sculptures, Ancient Jade, Ancient Pottery Figures, and Blue-and-White Porcelains. The collection also includes permanent exhibitions and special exhibitions. The museum also set up the research center of study of ancient artifacts, which fully demonstrates the achievements of ancient Chinese culture and art, while analyzes the collections from the perspective of ancient artifacts and reveals the cultural connotations of historical relics to audience from multi-angle and multi-lateral aspects. Aurora Museum is the first private art museum in the Lujiazui area of Pudong, Shanghai, which was designed by the internationally renowned architect Tadao Ando and was officially opened in October 2013. The museum collection can be divided into Buddhist Sculptures, Ancient Jade, Ancient Pottery Figures, and Blue-and-White Porcelains. Adhering to Chinese culture of “protection, inheritance, and dedication”, the museum promotes the study of ancient artifacts with the core of “material, technique, form and pattern” and is tempting to create the dialogue between the tradition and the modernity. Through out the years, Aurora Museum has hosted many contemporary art exhibitions such as BVLGARI at Aurora Museum: 125 Years of Italian Magnificence, Qiu Zhijie: The Unicorn and the Dragon, Signs, Surface and the Instant: An Encounter by n + n Corsino and Aurora Museum, The Making of A Museum: 10th Shanghai Biennale (2014-2015), Nobody Knows Where: Zhang Enli x Christopher Doyle and Lights of Time: Solo Exhibition of Hu Jieming. Towards the fifth year, Aurora Museum carried out more dimensional dialogues in 2018. Chinese Jade Pattern Design Exhibition analyzed the ancient Chinese jade carving through the systematic idea of design thinking. In the Mythical Forest: Wu Jian’an and Wang Tianwen blended the ancient mythology, the historical relics and intangible cultural heritage with the contemporary art, showing a lively energy behind the tradition. Through the Ages – Li Chen Solo Exhibition attempts to build a dialogue between Li Chen’s artworks and the ancient Buddhist Statues of the collection of Aurora Museum, leading viewers to experience an exhibition beyond the time and space.